Maestro Di Toma is an academic scholar of music: as well as his three music diplomas in pianoforte, conducting and composition, he has published a number of books. While still at University, he won a scholarship to study the historical archives at the Cathedral of Treviso Library for which he prepared the first comprehensive catalogue. Maestro Di Toma was fascinated by the composer Giovanbattista Martini, the most famous of his time, but less known today. With his previous experience of working with historical material, Di Toma painstakingly searched the archives in Bologna for material relevant to the composer. He used this for his University Degree at Padua University; his thesis, entitled Aspects of the Life and Work of Padre Giovanbattista Martini, was awarded the ‘right of publication’ by the examining commission. He later edited, transcribed and published Seven Sonatas for Harpsichord by Padre Martini that he had found in the archives of Bologna. Padre G. B. Martini was the most renowned teacher of his time. He taught both the young Wolfgang Amadeus Mozart and Johann Christian Bach. He was the first musician ever to publish the first account of the history of music from its origins. He also published A Dictionary of Ancient Musical Terms and The Theory of Numbers as Applied to Music. At 19 years old, he was already chapel-master at the Basilica of San Francesco in Bologna. He was famous not only as a scholar and as teacher but as a composer. However, many of his compositions remain unprinted in the archives in Bologna. It was this fascination for the figure of Padre Martini that led Maestro Di Toma to return, in 1984, to the archives of the Conservatoire of Music in Bologna. 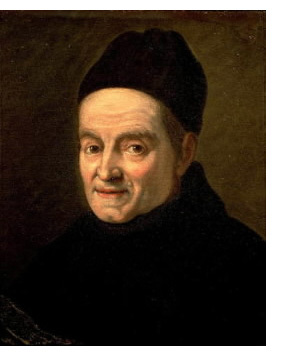 He undertook the arduous task of research, transcription and editing of another of the unpublished works he discovered which led to the publication of the oratory San Pietro that he transcribed for the 300th anniversary of the birth of composer. Although this work has yet to be performed publicly, it is probably one of the most important and complex compositions by Padre Martini. Maestro Di Toma received letters congratulating him on the exceptional work he did for this publication and for the academic value of the work from the Artistic Directors of the Teatro alla Scala in Milan and from the Vatican. Maestro Di Toma also transcribed a concert in G major for flute and strings from 1752 by Padre Martini. This work is in his personal music library in his home and has yet to be published or performed.